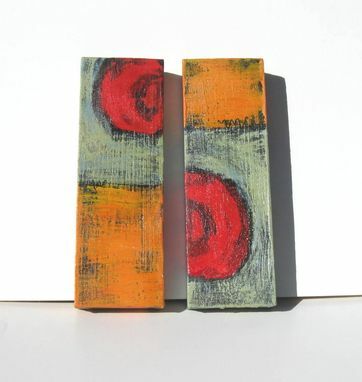 This listing is for two, 4"x12"x1.5" original abstract acrylic paintings. 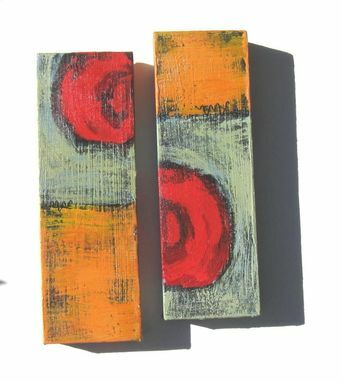 Painted on gallery wrapped canvas in earth tones of red, orange and green. 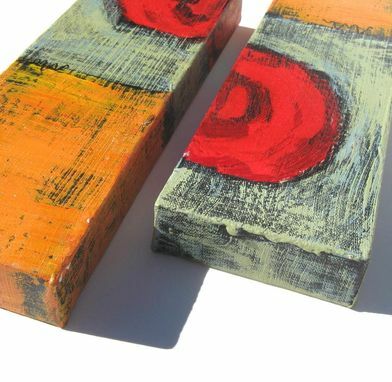 Each piece of work is painted on all four sides so no framing is necessary. 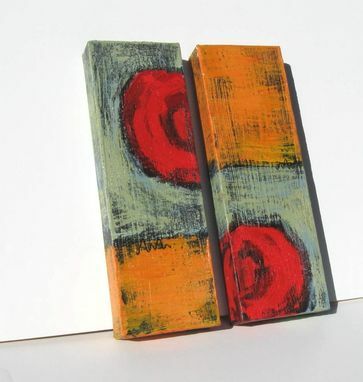 They are all signed by me the artist. Each comes with a sawtooth hanger so it is ready to hang.